Add value to your home with custom swimming pools and patio furniture! 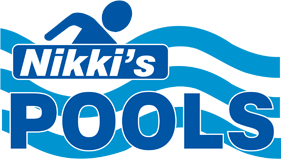 Nikkis Pools & Service has been serving Georgetown, Ontario, for more than 40 years. Work closely with our friendly experts to design a pool that's right for your home or business. We work with homeowners, buyers, small business owners, and builders alike. A pool does much more than add value to your property. It brings people together, providing families with years of entertainment. Nothing beats a summertime barbecue by the pool. Of course, we're not limited to simply designing your pool. We also install it for you, saving you the hassle of finding a contractor yourself. We take pride in our work and leave your home or business looking even better than it did before we arrived. Complete your new outdoor environment with comfortable patio furniture from Nikkis Pools & Service. We sell and assemble all patio furniture for your convenience. Our furniture is ideal for both private and commercial use. Visit our store today to browse through our fine selection of patio furniture. We carry everything you need for a truly relaxing poolside experience.